On Thursday, April 30, 2015, a jury convicted Daniel Chemeeks Rodasti of Attempted Simple Robbery, Possession of a Weapon by Convicted Felon and Simple Battery. Rodasti was convicted of attempting to rob a man on June 11, 2014. The incident happened at a home on Gelpi Drive in Lake Charles, and the victim sustained a gunshot wound to his leg. Following the attempted robbery, Rodasti took the firearm and fled to Kinder, where he hid the gun in a shed. Because of two prior convictions of First Degree Robbery, Rodasti is not allowed to possess a firearm. Judge Sharon Wilson set sentencing for May 15, 2015. Detective Dustin Gaudet handled the case for the Lake Charles Police Department. 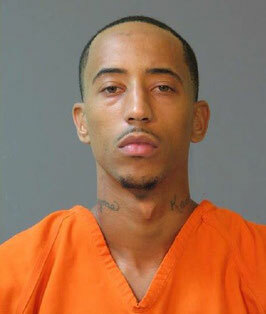 The case was prosecuted by Assistant District Attorney Bobby Holmes for the Calcasieu Parish District Attorney's Office with the help of Assistant District Attorney Jacob Johnson and Assistant District Attorney Ross Murray.